yes yes that is how I found you ,too!! 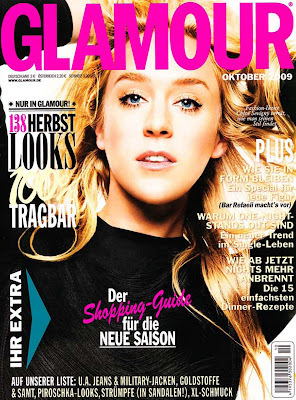 You look so great in German Glamour!!! And I also could find you! Great blog, congrats! I must add it in my blogroll. Thank you...I just wish I could understand German...I'd love to be able to read it properly! well, i really love ur blog.. since now i'll start to read it daily !! Just read it yesterday.And it's like Glamour said: You have such a great blog! Have you im my blogroll now. I love your blog. It's one of the best! I read this articel and now I am on your blog! do you want me to translate the part about you? 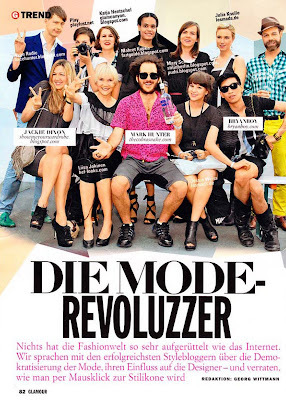 I bought the glamour (cuz i live in germany)! You and BryanBoy are so fantastic! I love this article about bloggers and that's also how I found you. now i'm a interested reader of your blog.